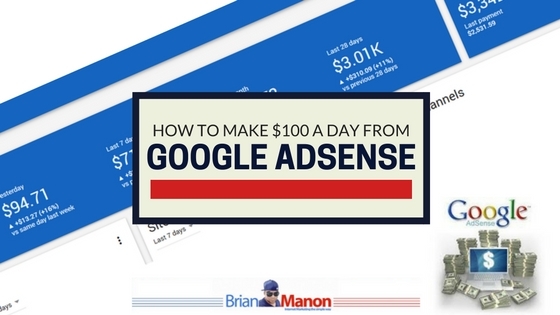 In this post I will show you how to make $100 a day by creating a Google Adsense site. What is a Google Adsense site? A Google Adsense site is a website specifically built to take advantage of Google’s text, image, video, or interactive media advertisements. There are many keyword research tools available (my personal favorite is Spencer Haws’ Long Tail Pro) but I know many marketers starting out do not have these tools available so I will be using Google Keyword Planner, which is free. Google Keyword Planner is a great tool and works well. To start our research we should be looking for topics with high CPC (Cost per Clicks). You should choose a topic that you are interested in so you don’t lose interest. I am going to choose Health as my niche for this tutorial. After you have chosen your topic you should head on over to http://ubersuggest.org/ or scrapebox keyword scraper and do some searches with keywords from the topic you have chosen. You should then save all the keywords in notepad so you can use later on. 5. List down all the niches that you are interested in. 6. Go to http://dir.yahoo.com and follow the same tasks. 2. Look for any forums in the results and click on them. 3. Skim through the forums looking for more niche ideas. Once all the steps above have been completed you should have quite a few niche ideas saved in your notepad. Now it’s time to use Google keyword tool, open it up and paste all the niche ideas you have saved and sort it by estimated cpc. Make sure that my “match type” is set to “exact” so that you get an accurate result for each keyword. 3. Consistent searches through the year make sure its not a seasonal keyword. Now you should go through the list and pick out around 10 keywords that have a high CPC as well as a good amount of searches each month. Once you have chosen those keywords, you should take a look at the competition. To analyze the competition, go to Google and type your keyword phrase in quotations such as “keyword” and see how many results you get. If you see around 500-800k results returned, then this will be a good keyword to take on. Now it is time to see what are the top 10 sites like. how many sites in top 10 have your exact match keyword in title? How many backlinks they have? When researching keywords in Google Keyword Planner, if a keyword says low competition, It has nothing to do with SEO competition. It just means that there are not very many advertisers bidding on that keyword. My personal choice when chosen a domain names .com, .org, or .net. Once you have picked your domain name buy it and install WordPress on it (setting up hosting and wordpress) . Then pick out a wordpress theme that is not cluttered and has a white background with simple black text. You do not want to have any distracting graphics so it doesn’t distract the visitors from your adsense ads. If you are looking for some common words to add to your domain name, have a look at the lists below. Many people often ask how many articles or keywords you will need to reach the desired outcome of $100 a day. Let’s break it down with some simple math to get some estimates. Lets assume that the average per click is going to be around $0.50. This could be a lot more or it could be less. It really depends. This means to reach $100 it would be 100/.5 which equates to about 200 clicks a day to get one hundred dollars. I always like to set my sites high so I will target a CTR (click through rate) of 10% meaning that I will need 200 X 10, or 2000 visitors a day to get to 100 dollars a day through Adsense. We now have a rough estimate of how many visitors we need to get on a website before we can reach the goal! I estimate that I need around 80-100 articles to reach $100. If we go with 80 articles we need about 25 visitors each day to each page. This can be achieved and it is not that many visitors per page if you really think about it. Content can always be added at a later date if you are not hitting the target. You will need a few visitors pages to make sure that your site is Adsense compliant. On the About Us page you need to just put up a page about what your site offers, why you started it, and what kind of information you are going to provide on your site. This is just a page about how your site is going to benefit the visitor. My favorite way to create the Contact Us page is just to use a simple plugin called Contact Form With Captcha. This is the most important page because it is required by Adsense. You will need to include certain information on the doubleclick dart cookie. Make sure you create this page or you could be risking your Adsense account. The easiest way to create this page is by using http://www.freeprivacypolicy.com/google-adsense-privacy-policy-requirements.html. If you have followed every step outlined above, it is time to start adding some great content. The most important thing you will need to do is great titles that will grab the attention of people searching for your information. This is how you should do that. Use a question format. This will entice people to click on your site when they are searching for information. An example would be “Why is my site loading slowly?”. You can also use a problem and then offer a solution which will also grab the attention of the searcher. An example of this would be: ” Is your site loading slowly? Learn how to speed it up!”. Another trick is to offer a “how to” article title which is a great way of getting their attention. Top 10 lists or how to lists always bring in a good amount of traffic, and sometimes backlinks! Always add an introduction, a middle bit, and then a summary of the article at the end. The intro will tell the reader everything the article will be about while the middle bit will give them the information they are searching for. The conclusion just wraps it all up. This is the best and most simple way to structure an article. I always attempt to keep my keyword density under 3% for the main keyword. You do not want to run into an optimization penalty and if you overuse your main keyword it may not read as well as it should. Always use keywords and LSI keywords that are related to the articles though. Keyword stemming is a great technique if you want to add variations of a certain keyword. Simply put, keyword stemming is when you take the main keyword and add on a suffix or prefix. This refers to how close the keyword is to the beginning of the text of the body, A good practice is to always use the main keyword within the first couple of sentences of each article. The place you are going to want to use ALT tags is when you have images in the articles you are putting on your site. It is used as a description of the image. Make your ALT tags short and descriptive. Search engines will love this and hopefully send you traffic. Are you ready to build some awesome links to your Adsense site? I hope so! SEO is going to give you the highest converting traffic because it is laser targeted and FREE! You are building an Asset: The visitors and keywords that you will rank for are going to be an asset that you can build up and develop. Start collecting emails and you have an even bigger asset. Targeted Traffic: Every person that is going to come to your website through a search engine is pre qualifying themselves for the information you have! This will lead to more ad clicks! Free Traffic: As I mentioned above, the traffic you are going to be getting is FREE. You will not have to pay a single penny for this traffic and that is what is so great about SEO. Once it is ranking for a specific keyword, you just need to maintain that position. If you were using paid traffic, the moment you stop paying is when the traffic stops. This is not how SEO works! Which is excellent news for you and I. So if the above information wasn’t obvious to you, you now know it. This means it is time to start building your asset! The first thing you will need to do is get some content written for your backlink campaign. You can write this content yourself or outsource it. I typically start with 15 unique articles and each one is around 400 words long. The article should be good readable quality. I tend to stay away from spun content because I value my sites. This is the step where I am going to create web 2.0 blogs on the high PR web 2.0 sites. Examples of these are WordPress, Tumblr, Blogger, and Weebly. I start off making around 5-8 web 2.0 blogs to start with. Each one should have around 3 pages and only a single post will have a link pointing back to your site. Make sure that the article that contains your link is niche specific to your website. Each web 2.0 should have an about us page and link out to authority sites. You want to make it look natural so the key here is to make your web 2.0 blogs look like real legit sites. Treat them as if they are micro niche sites and make them look nice! Take some of your quality articles and go to some high PR article directories. You will be adding your link to the resource box. When I first start my Adsense sites, I like to do social bookmarks first. I will write 25 unique descriptions about my site that are short, around 20 words. Then I will drop my link on high page rank social bookmarking sites. Make sure to use different usernames to not leave a footprint. Take one of your articles and convert it into a PDF file. You can then add your link in the footer and submit it to all the doc sharing sites with high page rank. This is another thing I like to do first when starting an Adsense website. Send around 20 Facebook likes, 20 stumble upon and 20 twitter tweets to your site. Once you have everything submitted and the links are built. Take all your links and through them into an indexer. This will help them get indexed and crawled by Google, which is what you want! What would be an estimate if I was to run a sportsblog? Thank you do much for this info. I have an adsense acct buy became totally lost. I am definitely going to go over your blog again to figure it out. Wow so much info, such a nifty concept! I’m just now looking into advertising, so I learned allot here. Great article. I will keep it for reference. I saw your box with the traffic course but closed it before I subscribed. Please subscribe me? These are great tips. I tried to get Google Adsense and the process is not good. But these are great to consider even with other ad networks. Wow! This is a really great article! I’m going to bookmark it! I have google Adsense set up but make a very small amount out of it. Oh goodness that is way complicated. You lost me at the articles and the pageviews part. I dont have enough traffic to get that many clicks nor do I have enough posts since I don’t write very many evergreen posts. These are really great tips! I will definitely have to look into implementing some. Wow. This is really intense, but helpful info. I really have to look into this. I have an adsense account, but now I wonder if I set it up correctly. Awesome tips Brian! Thanks for sharing. Speaking of keywords, I was wondering do you use any LSI tools? Really great info. This will be very helpful as I am trying to get my Adsense account going! This is awesome! $100/day is awesome. I never get a single cent from my blog. I will try your tips and hopefully get same results as yours. Thanks for the tips. This article was really helpful, and I will use these tips right away! Great post! I have it bookmarked for future reference! Thanks! This is really informative! Bookmarked for future reference too. This is really helpful. Thanks for breaking it down and making it understandable. Thanks Brian. Very informative article. I don’t use Adsense on my blog yet, but if I do start, I know where to turn to for advice. Such a great post. Very informative. You seriously dropped knowledge in this post. I bookmarked it so I can come back and read again so I don’t miss anything. Thanks for sharing it with us. So much information and useful content! I’m definitely saving it. Thanks! I really don’t get adsense yet so thanks for posting this. It really helped. Wow! This post was jam packed with useful information. Thank you so much! This is really great. I have no idea when it comes to adsense. Thanks for sharing. Really useful information although I do prefer affiliate marketing to adsense as a way of monetizing a blog. Excellent article Brian! Thanks for the excellent tips, I learned a few new things today. Keep up the good work! Great post. I haven’t used Adsense in a while but will consider it again after reading your article. Thanks! A wonderful post. Learned so much and will pass this post forward for others to learn as well. wow. This is great. Surely worth giving it a try.